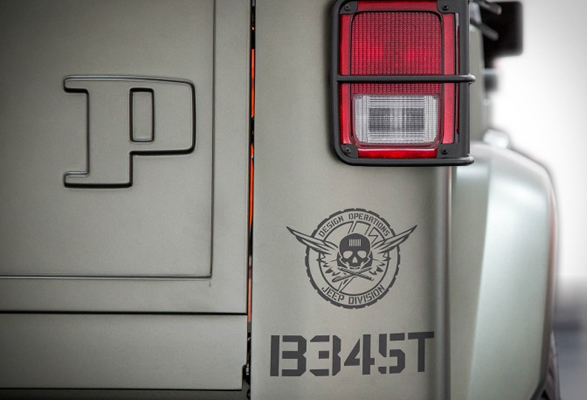 Every year, Jeep enthusiasts get together for the annual Easter Jeep Safari in Moab, Utah. 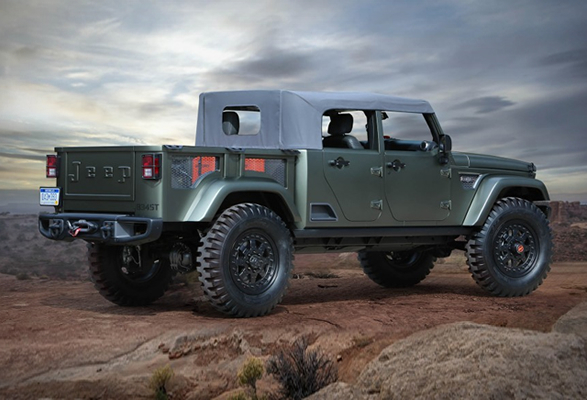 This year, to mark the 50th edition of the event, Jeep is bringing along some special concept to show off at the weeklong celebration of the iconic SUV. 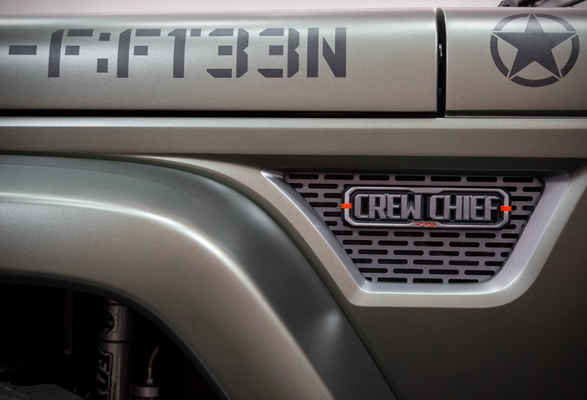 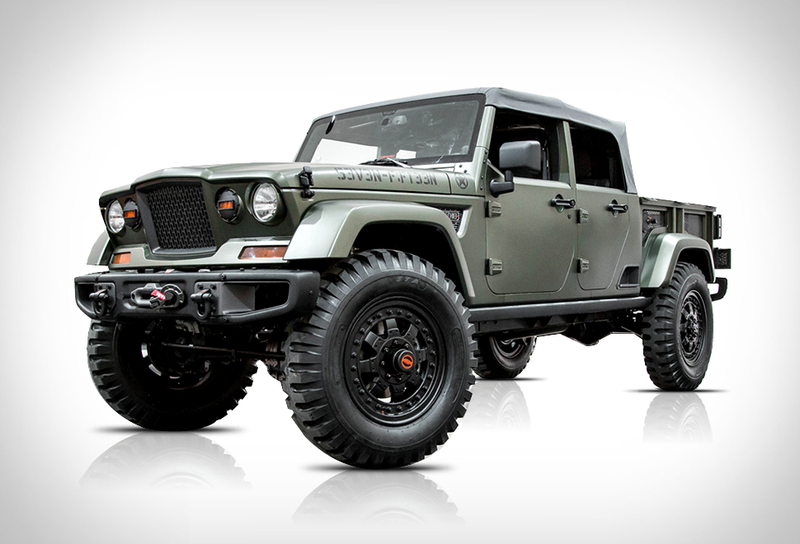 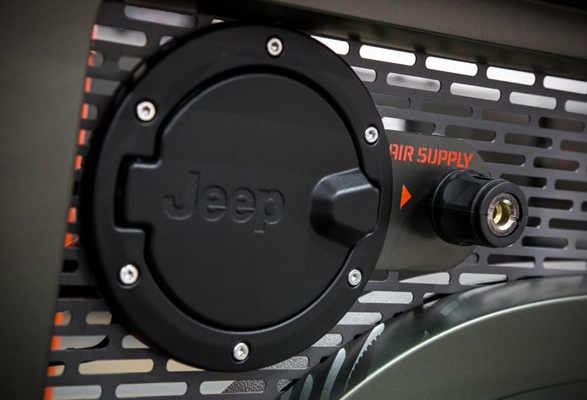 Our favorite is undoubtedly the impressive Jeep Crew Chief 715, a salute to legendary Jeep military service vehicles. 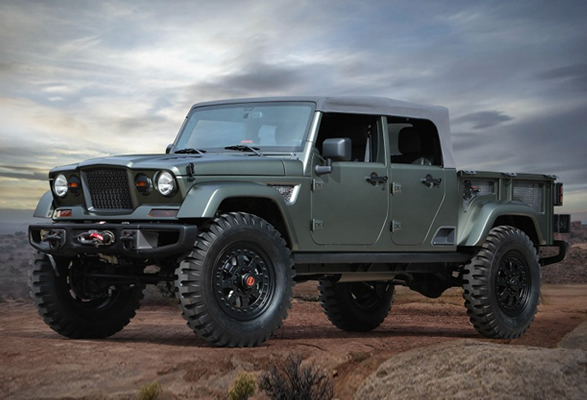 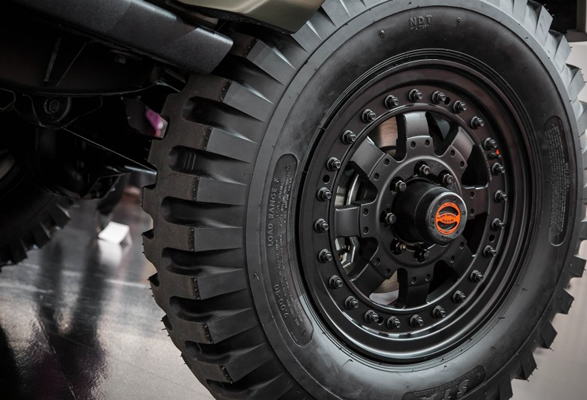 Built around an open-air Wrangler Unlimited, the Crew Chief 715´s military heritage is evoked with the steel front and bumpers, 20-inch beadlock wheels, and 40-inch military tires. 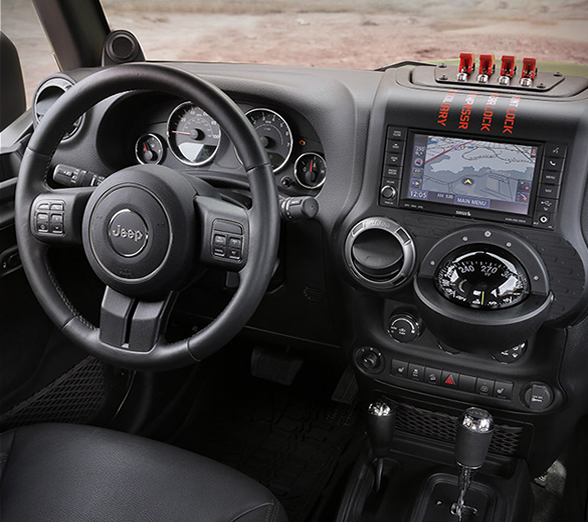 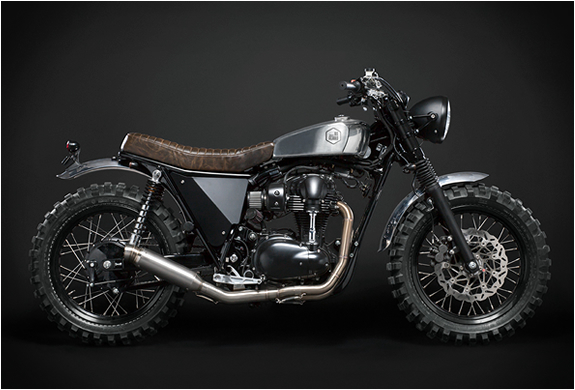 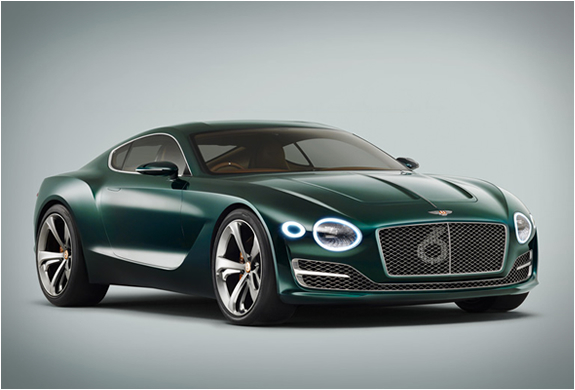 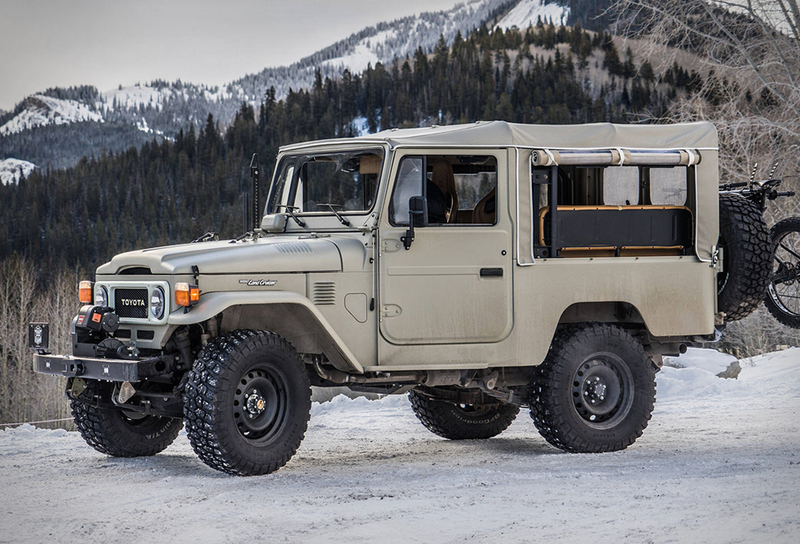 The military theme is completed with off-road rock rails, an onboard air-compressor system, leather bucket seats, a navigational compass, military-inspired switchgear, and a pair of winches to overcome the more difficult trails.